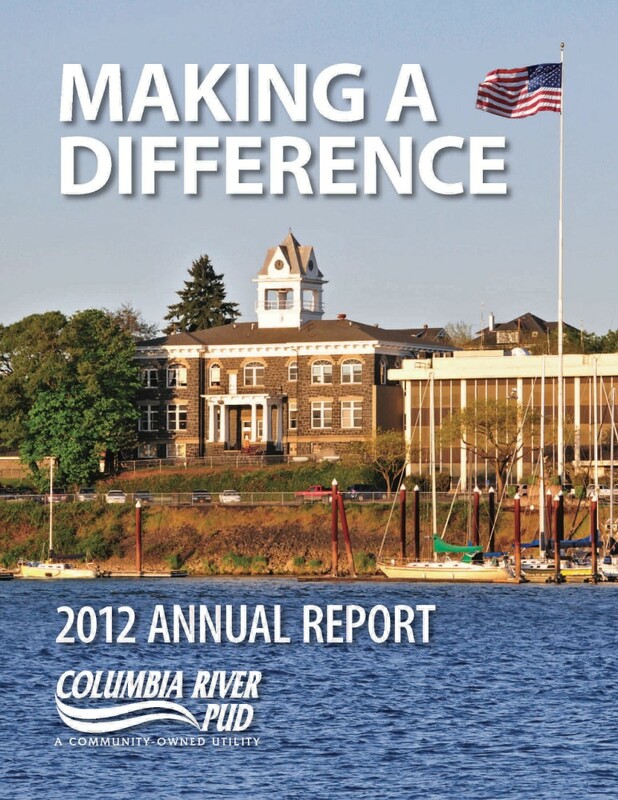 Annual Reports are available for download as Adobe pdf files. 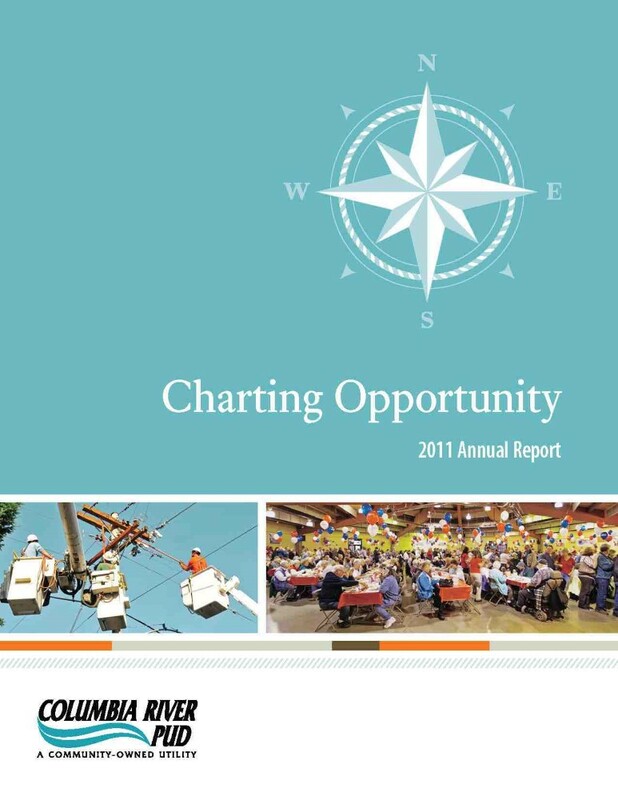 To view them, you will need the free Adobe Reader program, which is available from the Adobe website. 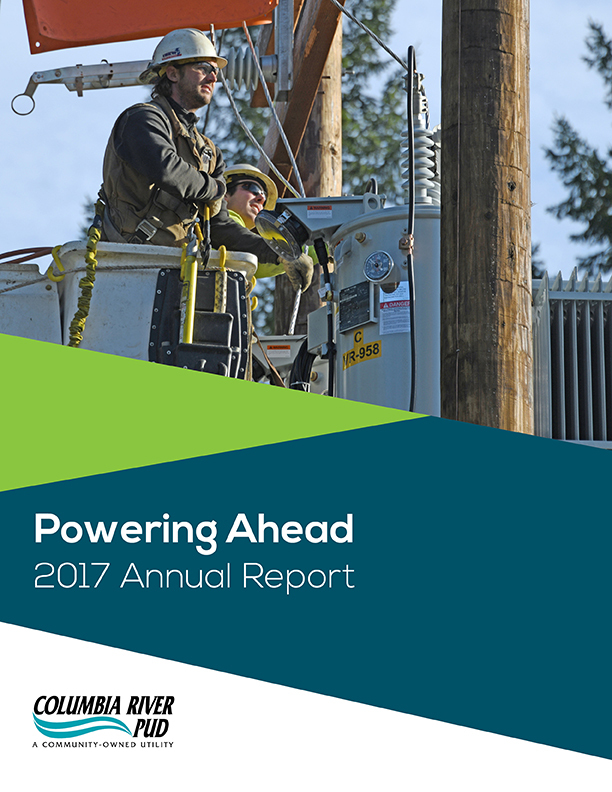 If you have any questions or would like more information about one of our reports, contact PUD Administration Supervisor Heidi Ralls by email or at (503) 366-6500, or PUD Community & Public Relations Specialist Kyle Boggs by email or at (503) 366-3243. 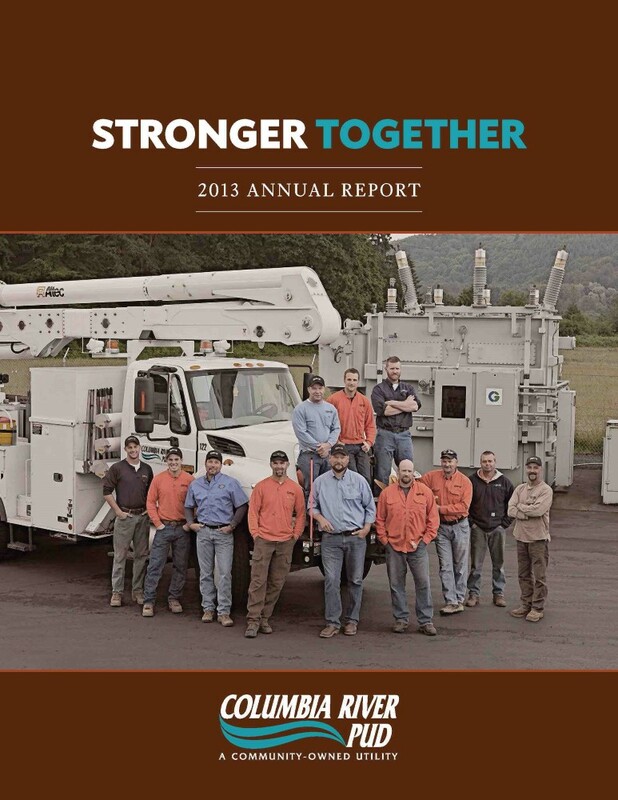 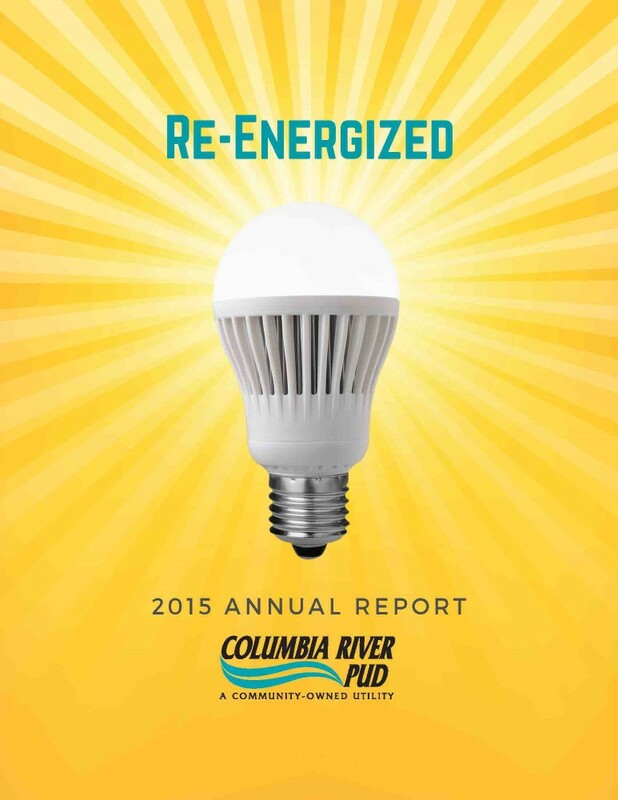 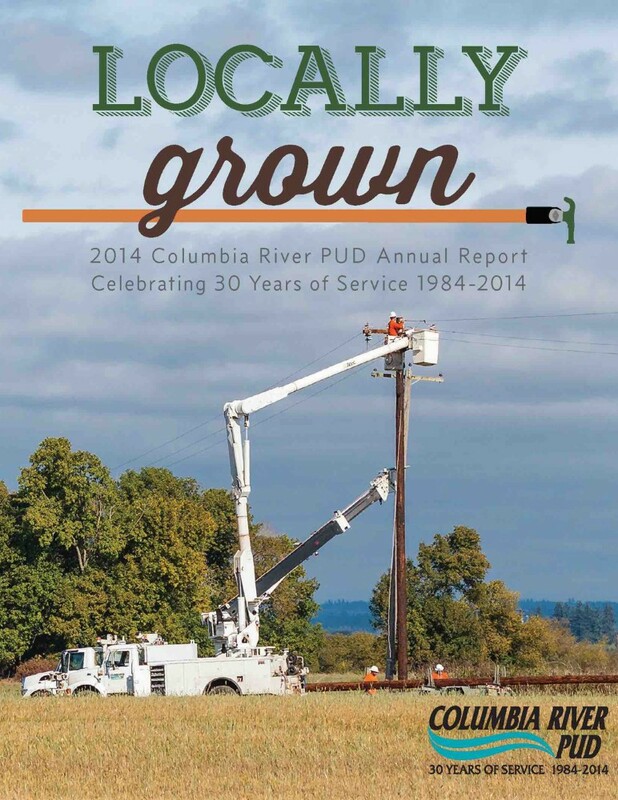 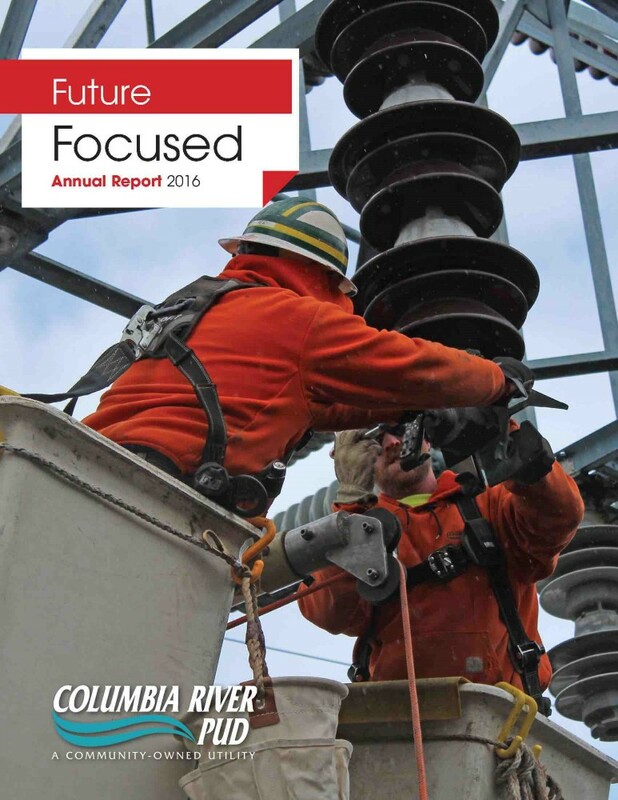 The PUD’s wholesale electricity provider, Bonneville Power Administration (BPA) also produces annual reports. 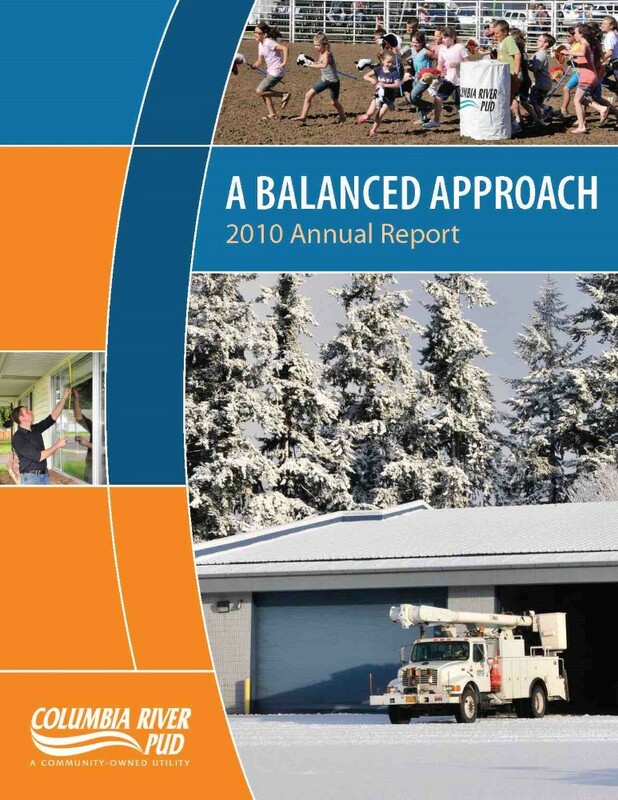 Those reports are available on the BPA website.